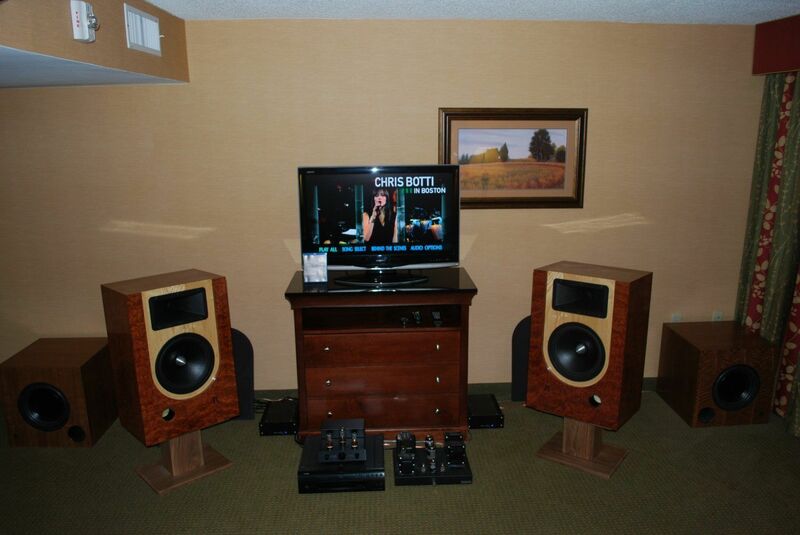 Update - Just got word from Scott Warren (Advanced Home Theater) - He called the hotel and informed them he was with LSAF. Scott made a reservation in advance but hadn't made it clear he was with LSAF. They're putting him in room 313 so I've added him to the list. I'm sure there are more like Scott, exhibitors with reservations that aren't listed as being with LSAF. Again, if you don't see your name on the list, be sure to call Embassy Suites so they'll put you on the second or third floor with the rest of us. Polk is there, I had to call an square away the reservation yesterday afternoon. Corporate made a 'general' reservation, not under the group. I just called up there this morning re early check-in, and they aren't going to have anything until at least noon today, just fyi. Getting that nervous energy now! Oddwatt Audio is in 314 and 315. We are here now. I survived the interchange at I30 and TX75. I'm here too. Like you guys, I've been moved. They put me in room 222. Here's a link to the quick round of pics I took this late this afternoon. If anyone wants different/better/etc... let me know by early tomorrow morning. Those are awesome photos, Shane, thanks! There's some really excellent gear at the show this year, isn't there? People at this year's event are in for a real treat! Adding a few more pics to my site as I type this. That will be the end of all the ones I took. Maybe we can mix and match. I think I have picture of most rooms, but not sure I got them all. Brenda Amesquita took pictures for me this year and yesterday afternoon as things were winding down she said she lacked a half dozen rooms. Since people tend to load out in the late morning, I doubt she'll have time to get everyone. Want to trade pics of who you lack for who I lack? Selected pictures from each room are shown, starting on the next page.